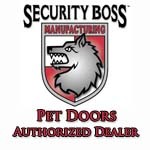 Security Boss Manufacturing, LLC is the leading manufacturer of high performance pet doors. The MaxSeal line is available in several models that range from installation into doors and walls to specialty models for French doors and In-the-Glass. 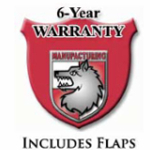 Maintainable forever, these doors feature a limited lifetime warranty and are designed for optimum performance. No other pet door offers the same level of insulating seal and security. 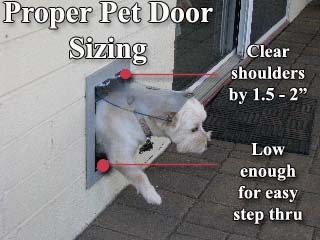 Remember that you want to select a pet door that will clear the tallest pet's shoulders by 1.5-2"...and have a low enough step over rise to allow for easy navigation given the pets breed, age and mobility now and in the future. Security Boss has 10 Standard Sizes as well as Custom Made models that are ideal for replacing older, inefficient pet doors!